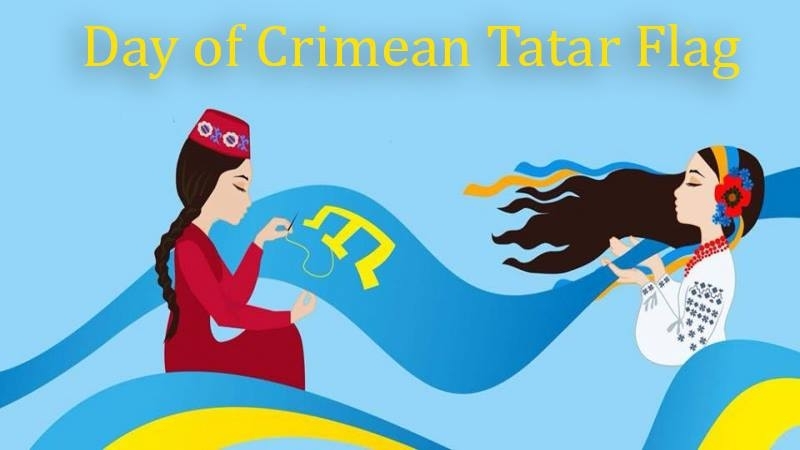 Ukrainian diplomats in various countries celebrated the National Flag Day of the Crimean Tatar people, according to the information on their pages on Twitter. The Ambassador of Ukraine in Turkey Andrii Sybiha published a photo where the Crimean Tatar and Ukrainian flags were posted on the embassy building. The diplomat wrote congratulations in the Crimean Tatar language. The Ambassador of Ukraine in Germany Andriy Melnyk also congratulated the Crimean Tatars on the national holiday. The Ambassador of Ukraine in Finland Andrii Olefirov also published a photo with the Crimean Tatar flag and congratulated the indigenous people of the Crimea in the Crimean Tatar language. Earlier QHA reported that June 25-26 in the annexed Crimea a marathon is taking place dedicated to the Day of the Crimean Tatar flag. The organizer of the action was Deputy Chairman of the Mejlis of the Crimean Tatar People Nariman Dzhelalov, who together with the activists intends to go around the Crimea with a huge Crimean Tatar flag within two days. Reference: On June, 26th, Day of the Crimean Tatar flag is celebrated in Ukraine. On this day in 1991, in Simferopol, the Qurultay of the Crimean Tatar people (the highest representative body of the Crimean Tatars) resumed its activities. According to Refat Chubarov, one of the first resolutions of the Qurultay renewal was a decree "On the national flag and national anthem of the Crimean Tatar people".